drawing out, moving, and receiving energy and are often used by healers involved with alternative healing procedures for this reason. fewer and fewer personal opinions blocking your view. They remind you it is as important to learn to receive as to give. 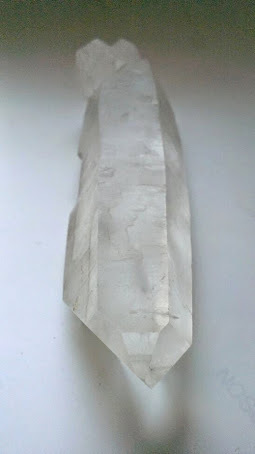 Receivers, of course, make great Dream Stones and meditation tools, and are the perfect partner for a Generator Crystal. Symbolizes your readiness to receive, as well as give. Great tool for circulating energy. Has the ability to draw out energy. Very calming and soothing in all its actions. Reminds you to remain open to accepting new ideas and concepts. Helps you to be more open and non-judgemental of just about anything. A good telepathic communication tool. Helps to balance the hemispheres of the brain. Especially sensitive to receiving all types of energy. Use anytime you want to be more flexible, open, and empathic. Excellent choice for communicating with just about anything or anyone. Good choice when you want to be especially clear about what you are receiving. 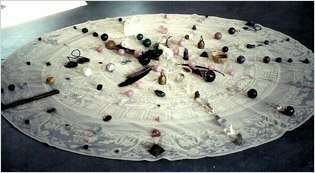 anyone involved in transmuting energy and working with alternative forms of healing.